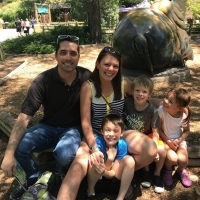 Kimberly and her family moved to the Front Range from Maple Valley, WA. She is a graduate of Northwest University in Kirkland, WA with a BA in Education, and served her local church there assisting to conduct two Sunday AM and an Evening service for kids. She has been a part of our preschool teaching team for over a year before taking the lead. We are excited to have her serving in this role!